The only Twitter account you can’t follow… no matter how hard you try! 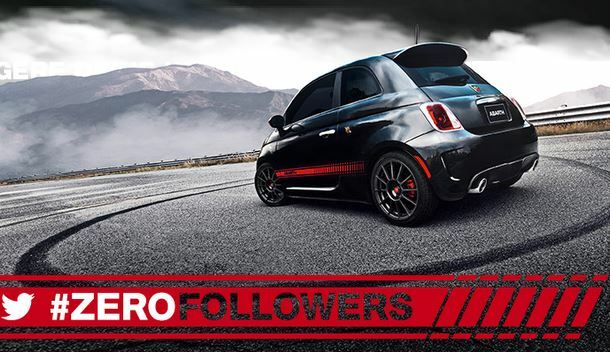 To build buzz around the new Fiat Abarth 500 – they wanted to make a statement. A statement that nobody is a follower when they drive this car – and that it’s super-fast. It’s quite a good idea, and it got me to go to my DM’s (mainly to get rid of the notification) and I did actually end up clicking the link – it’s all in another language, so the visuals were enjoyed. One comment on The only Twitter account you can’t follow… no matter how hard you try! Love this idea. Although it’s showing ‘Account Suspended’ at the moment. Perhaps it was too fast even for Twitter? !